A California beach resort has just ramped up the state’s war on vaping by introducing a total ban in all outdoor areas; local businesses are desperately trying to water down the new regulations before they destroy the vital tourist industry. Meanwhile a US university has researched the notorious “gateway” theory and, yet again, debunked it. There’s depressing news from the UK, though, where e-cig advertising has just been made almost impossible, and the Philippines are considering making vapour products the next target in their fanatical anti-lifestyle crusade. The city of Laguna Beach, in California’s affluent Orange County, has just voted to impose one of the most restrictive vaping and smoking bans in the world. Laguna Beach already had a ban on smoking and vaping in all indoor public places, in parks and on the beaches. Now, in a remarkable move, the city council has decided to extend it to almost everywhere in the city. At a meeting on Tuesday, the council voted by four to one for the extended ban. Only the temporary mayor voted against. The new law will go into effect on 23 June, and from that date the only places you’ll legally be allowed to vape in Laguna Beach will be inside homes and cars. A bill currently before the Senate will, if passed into law, restrict the promotion of electronic cigarettes. Bill S-5 was the subject of hearings last month before the Standing Senate Committee on Social Affairs, Science and Technology. Debate on Bill S-5 was adjourned May 18, after being returned from committee with amendments. The latest scare-mongering for vapers. It is no longer the ‘gateway theory’ or ‘teens’, it is now bladder cancer. Despite the toxic ingredients commonly found in e-cigarettes and other vaping products, many adults don’t think secondhand e-cigarette aerosol poses a risk to children, according to a report published Thursday by the Centers for Disease Control and Prevention. About one-third of adults surveyed didn’t know if secondhand aerosol caused harm to children, and 40 percent of the adults said this kind of exposure caused “little” or “some” harm to children. The “deeming” rule puts vaping products and their components such as flavors, nicotine concentration levels, e-cigarette batteries, and software under the purview of the Tobacco Control Act, even though the products contain no tobacco. The rule also requires a lengthy, expensive, and arbitrary pre-market approval process for each product on the market dating back to 2007. Hartland, Wis., is home to vaping liquid manufacturer Johnson Creek Enterprises, a major economic driver in the community. 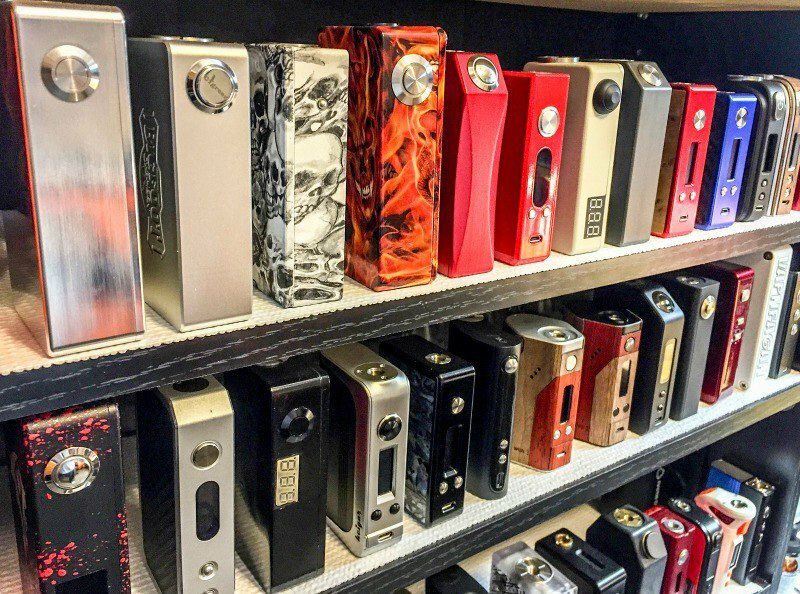 Lisa Talarico-Jaskula, who owns Exotic Vapors on Niagara Falls Boulevard in Wheatfield, said that if regulations governing the way that vapor products are sold aren’t relaxed, she’ll be out of business within the next year or so. She said regulations that lump e-cigarettes into the same group as traditional cigarettes are hindering the industry in a way that not only hurts business owners, but consumers as well. After smoking for 35 years, Talarico-Jaskula said she was diagnosed with both emphysema and chronic obstructive pulmonary disease (COPD) in 2013. But she didn’t quit smoking right away. It wasn’t until her son asked her to try an e-cigarette that she finally kicked the habit, and now she said she’s off all the medication she had been on and her symptoms have largely cleared up. Vape Cloud UK said that the ad was solely intended to advertise the location of their new store in Poynton. They said they sold products that either did or did not contain nicotine, and that the “Anarchist” brand was an example of a brand that offered nicotine and non-nicotine based e-liquids. They said that they had decided to stop publishing the ad after receiving the complaint. MEN Media Ltd t/a The Macclesfield Express said that the ad was intended to promote the shop rather than an individual product, which was illustrated by a general view of its interior. They said the “Anarchist” name and logo were only visible in the background and partially obscured by glare from the lights. They said the name and logo were not a feature of the ad, but were incidental to it. Annual surveys of 11-18 year olds by Action Smoking and Health have been following the trends. The surveys have found that regular vaping is confined almost exclusively to current or former smokers. Only 0.4% (4 in 1000) of young people who have never smoked used e-cigarettes regularly (monthly or more) in 2016. Most users do not use nicotine. An Ipswich tobacconist is hoping an inquiry into electronic cigarettes will align Australia with the rest of the world when it comes to legalising the sale of nicotine products. TSG Riverlink franchise owner Naeem Ismail recently started stocking electronic cigarettes, also known as e-cigarettes, personal vaporisers or vapes. “People are looking for an alternative to smoking for health benefits and to save money,” Mr Ismail said.